2007 Auburn Tigers season preview from Maddux Sports. Below you can find our official Auburn Tigers football preview as well as the 2007 Auburn Tigers Football Schedule. Dont miss our Free College football picks against the spread and bookmark our free college football lines page offering up to the minute betting lines for the weekly schedule. The Auburn Tigers (11- 2 overall, 6-2 SEC) tied for second in SEC West. In the post-season, the #10 Tigers beat the #22 Nebraska Cornhuskers 17- 14 in the Cotton Bowl. Look for this team to be in the top 25 nationally and bowl bound again. Offensively, Tiger wide receivers have had a tough time with injuries over the past few years, taking the long ball away from this team. Additionally, Auburn's RB and QB have been hobbled by injuries. The Tigers have been running a West Coast offense and will often do the same again this season. Senior QB Brandon Cox (59% COMP, 2,198 YDs, 14 TDs, 9 INTs) is a leader and competitor with refined skills. Leading receiver Rodgeriqus Smith (26 REC, 452 YDs, 17.4 AVG, 4 TDs) is a big-time threat and WR Montez Billings can also break big plays. Junior RB Brad Lester (104 CAR, 510 YDs, 9 TDs) is now healthy and ready to turn up the steam. The former Auburn offensive line lacked athleticism; the new guys are primarily undersized but have some good moves. This unit has to cut down on the 35 sacks they gave up in 2006. The defense was stellar in 2006, allowing opponents only 13.9 PPG (7th best in the nation). Tackles Mike Blanc and Pat Sims came into their own this spring, which allowed the Tigers to move sophomore Sen'Derrick Marks from tackle to defensive end. Josh Thompson, a senior, is underrated at nose tackle. The other DE, senior Quentin Groves, is fast and able in pursing QB's. The secondary is a big question mark and their chemistry and ability may make or break this "D."
Auburn should win seven handily and could top out at ten victories with swing games against Arkansas, Georgia and Alabama. Florida and LSU will be tough to beat. A SEC title, their first since 2004, is not out of the question. For more info on the 2007 Auburn Tigers football program, view the Tigers official website or scroll down below to read up on the rest of the SEC competition. All of the South Eastern Conference teams from the East and West divisions can be found to the right of this text. By clicking on the team of your choice you will be given our individual team preview for the SEC club. For non SEC teams visit our college football preview page. The SEC football conference once again is the deepest in the country. With 2 national title contenders in LSU and Florida and almost every team having a shot to get to a bowl game it should be one hell of a dogfight to see who plays in the SEC championship game. For our predictions on who will be playing in the Georgia Dome December 1st read our South Eastern Conference Season Preview. 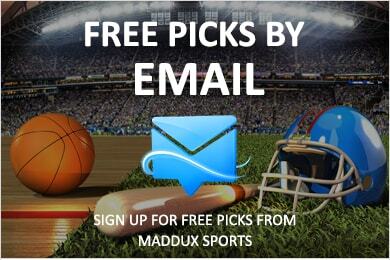 Get SEC Football Picks from Maddux Sports experts!